Spring has arrived early around our parts. 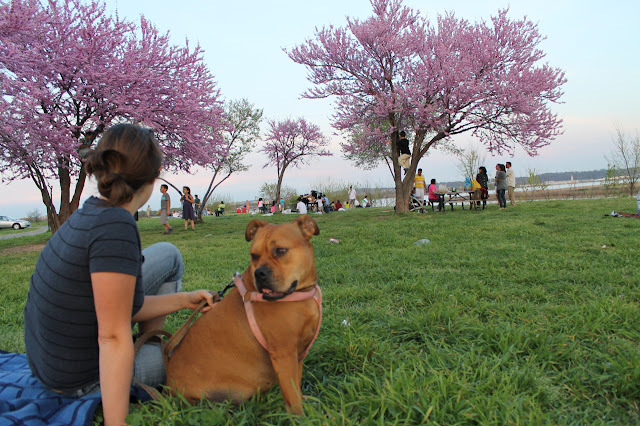 We hopped in the car with Clover for an impromptu week night picnic at Gravelly Point park which neighbors the Potomac River and National airport. I picked up a cucumber salad from a little cafe in Old Town and toasted a couple slices of this pizza. I like to eat this pizza with a big piece of fresh lettuce- an easy way to eat some veggies without prepping a big salad. I recently posted another recipe using this cheese. 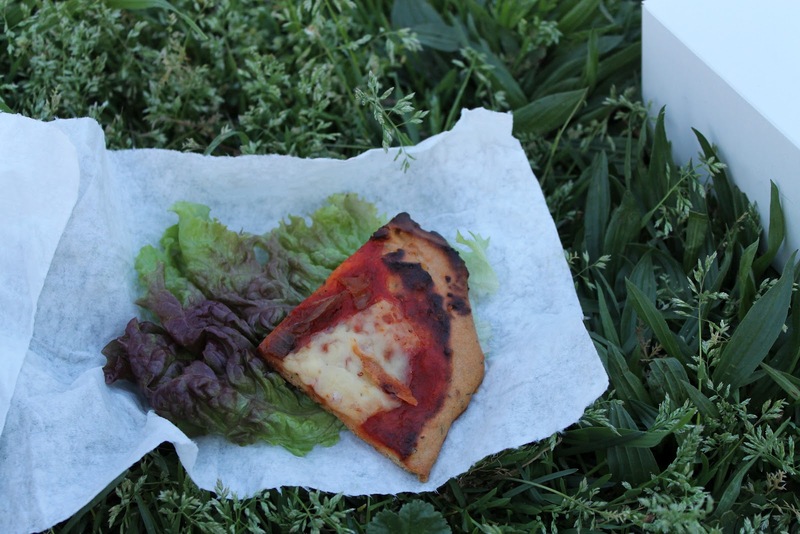 It's so good that I re-stocked this weekend at the farmer's market and was really pleased with this pizza recipe. The cheese has a mild goat flavor and melts nicely without becoming too gooey. I like to think of this pizza as more of an Italian style. Simple, pure toppings that are full of flavor and allow each other to shine. Remove from the oven and top with the strained crushed tomatoes, raw goat cheddar slices and caramelized onions. Bake 10-20 minutes until the cheese is melted and the tomatoes cooked.